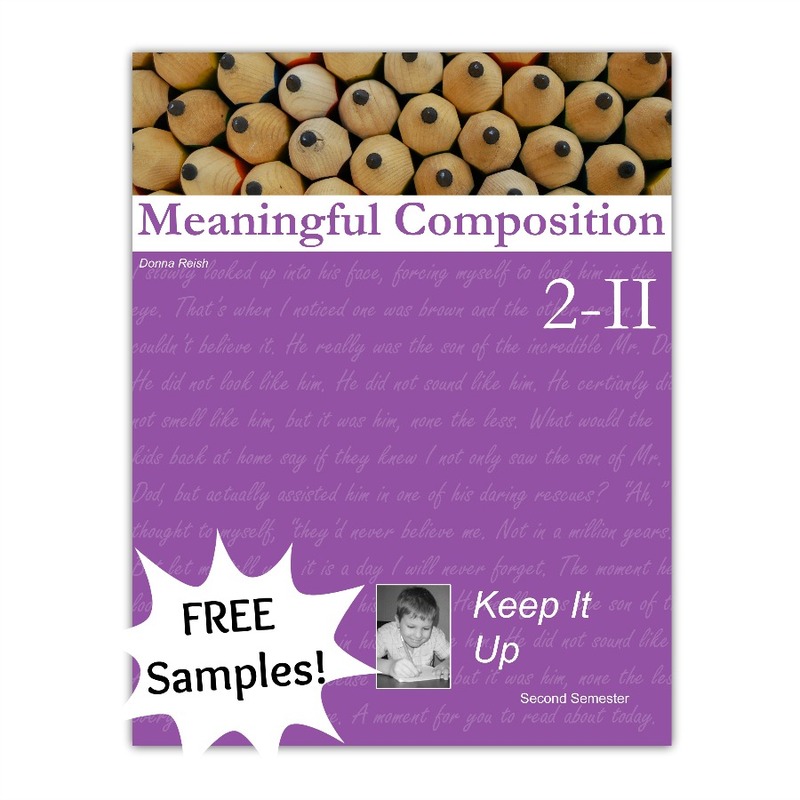 Meaningful Composition 2 II continues where MC 2 I left off! Just like the other elementary MC books (2 I, 3 I, and 3 II), this book is a complete language arts book (except for spelling). 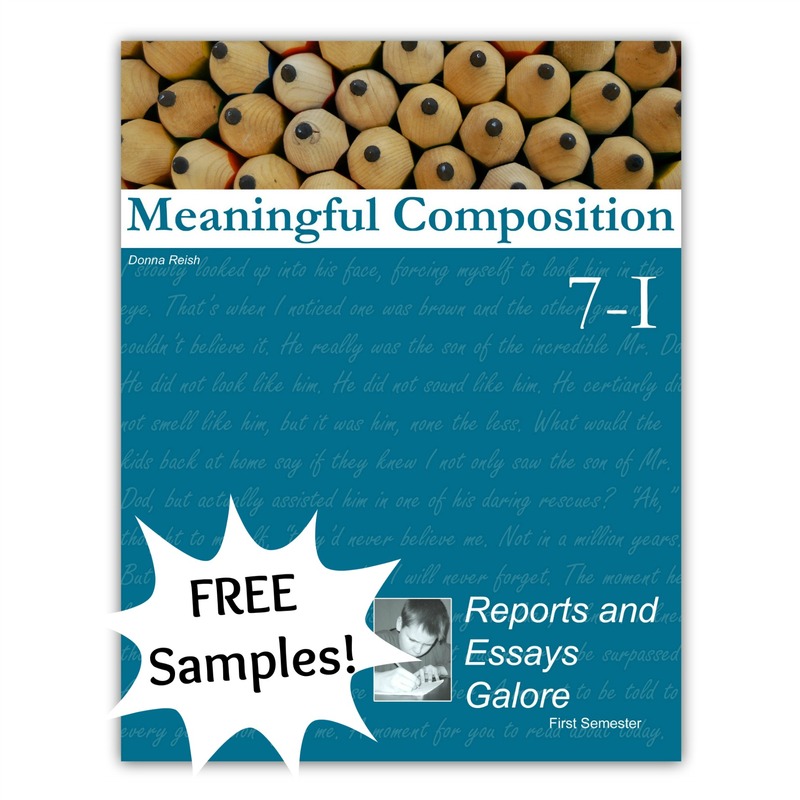 Your student will learn valuable grammar, usage, word, and prewriting skills while working his way through this sixteen week treasure. 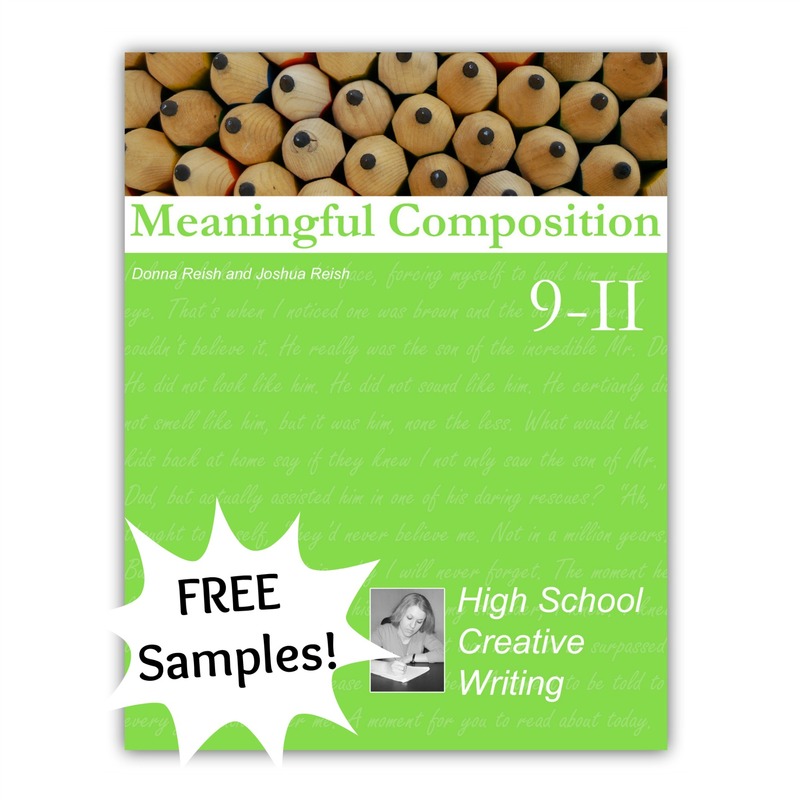 Each lesson is laid out in a similar way—beginning with a meaningful passage of material to learn to write from, Editor Duty sentences to correct, Wacky Words (homophones and confusing words), language lessons, prewriting exercises, Checklist Challenge how to lessons, dictation, outlining, and much more. 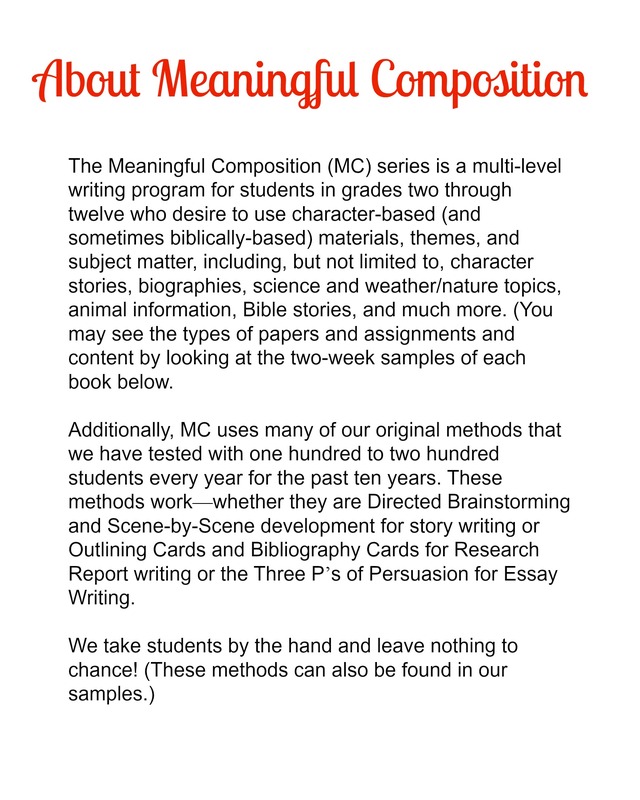 Meaningful Composition 2 II continues where MC 2 I left off! Just like the other elementary MC books (2 I, 3 I, and 3 II), this book is a complete language arts book (except for spelling). 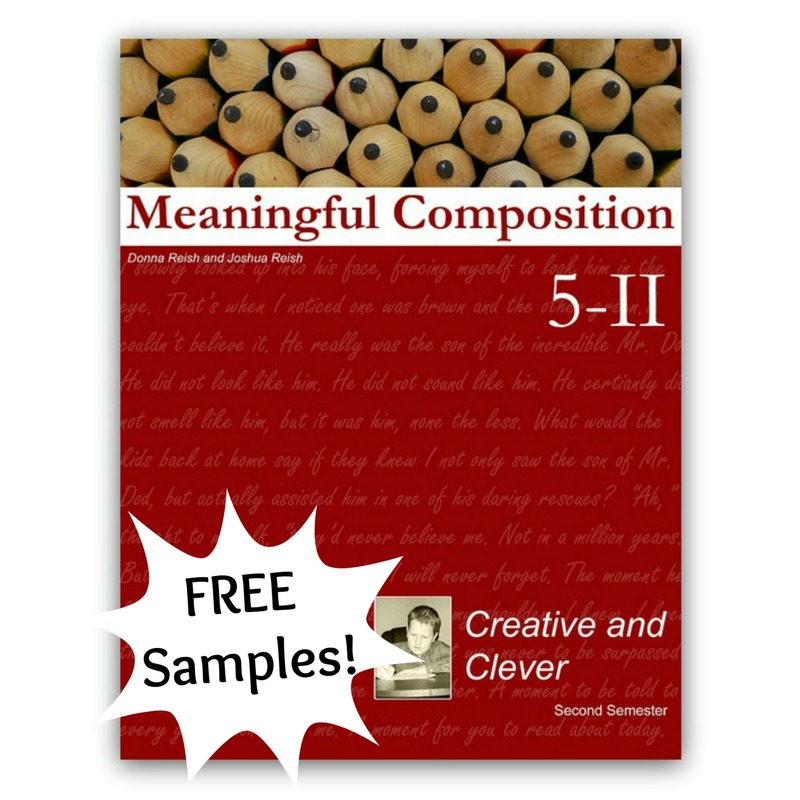 Your student will learn valuable grammar, usage, word, and prewriting skills while working his way through this sixteen week treasure. Each lesson is laid out in a similar way—beginning with a meaningful passage of material to learn to write from, Editor Duty sentences to correct, Wacky Words (homophones and confusing words), language lessons, prewriting exercises, Checklist Challenge how to lessons, dictation, outlining, and much more. Students begin paragraph writing earlier in this book than in the first semester book—while still learning strong outlining techniques, such as The Paragraph House, Sentence-by-Sentence Outlines Over Given Material, beginning research, story mapping, Writing Boxes, and others. (The outlining style is specific to the type of writing the student will learn.) 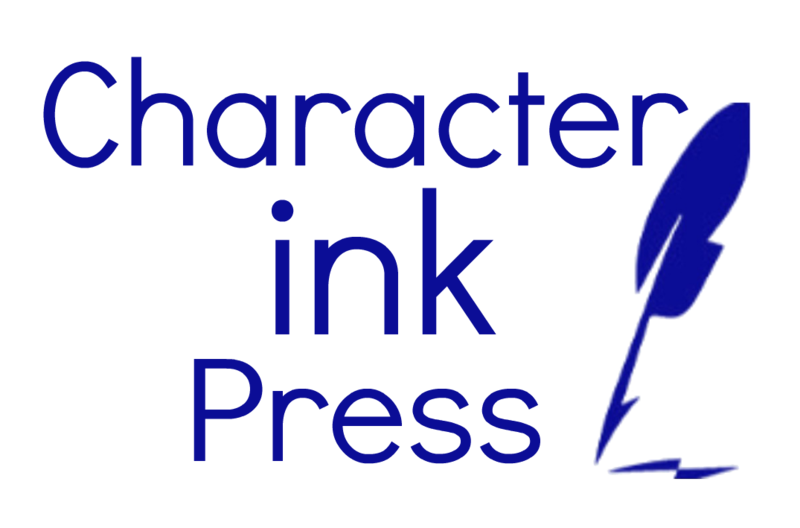 This book continues using animals, nature, classic story characters, missionaries, Bible characters, historical figures, and more as its passage and writing topics. Your second grade level student will have fun while learning to write using our directed writing approach and meaningful content. Check out our two week samples to “try before you buy”!